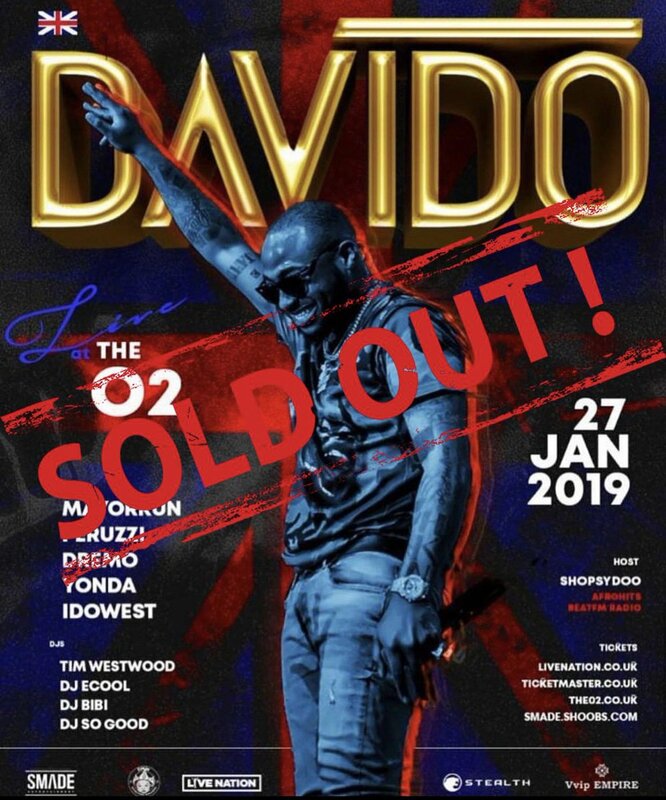 Nigerian Pop Star, David Adeleke, popularly known as Davido delivered a spectacular performance, at his sold-out concert in O2 Arena, London with over 20,000 fans turning up for the event and celebrities Supermodel, Naomi Campbell, and British Vogue Editor, Edward Enninful attended the show. During his concert, Davido entertained fans with performances by the DMW members. He also performed hit songs like ‘Dami Duro’, ‘If’, ‘FIA’, ‘Fall’ and ‘Assurance’, with his Girlfriend, Chioma. Britain’s Tim Westwood and Nigerian DJ ECool entertained fans before Davido made his exceptional entrance and Actor and DJ, Idris Elba announced Davido’s entrance. Davido charmed the crowd when he surprised them with performances by Popcaan, Zlatan and Victor AD. Fans proved themselves by chanting and singing the lyrics to every song performed by the DMW Boss.